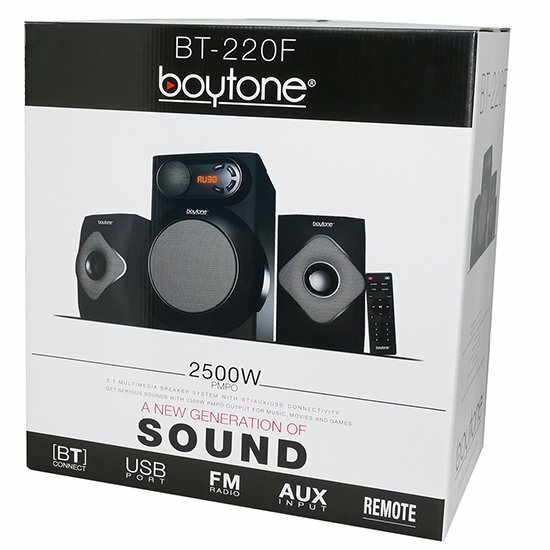 Boytone BT-220F comes with New Bluetooth technology which supports wireless music streaming, System comes with 2 separate speakers connected with wire to the main unit (sub-woofer). 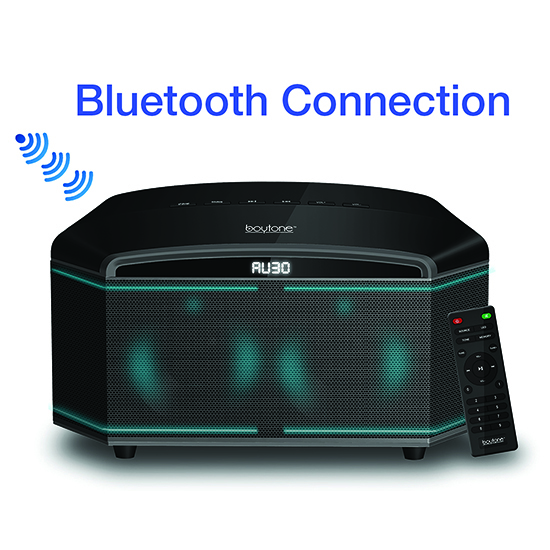 Main unit (sub-woofer) connects with wire but you can also wireless connect a Smartphone/tablet/PC via Bluetooth. 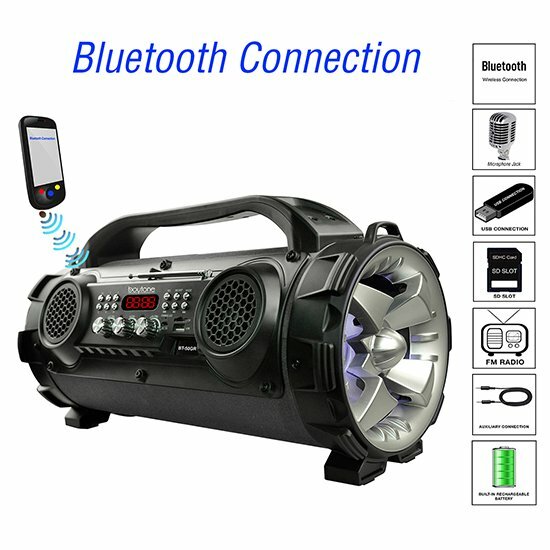 FM Radio, powered by AC wall outlet (UL) listed, AUX cable included. 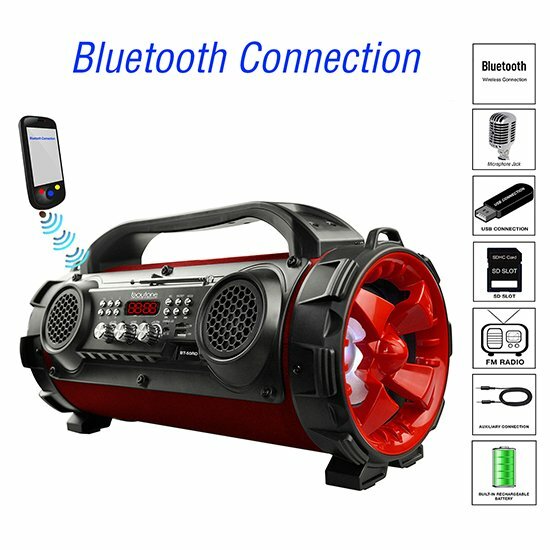 Frequency range: Hz-20 kHz -Satellite rated power: 4"8 ohm Wired/Wireless Bluetooth connection to stream wireless music from the tablets, smart phones, iPad, iPhone and more. 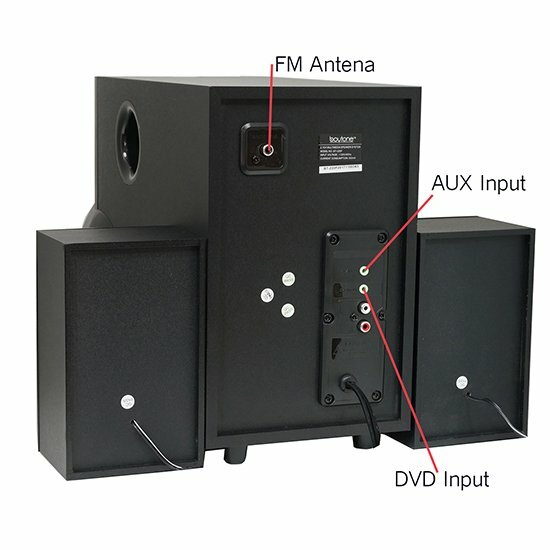 Volume controls on the sub-woofer, output total power is 32 watt (20+6x2) 3 Chanel amplifier Pairs quickly and easily with your unit. 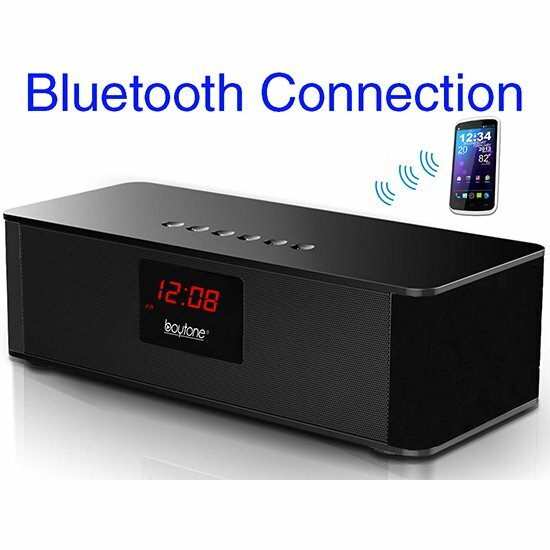 USB wireless remote control with FM radio and digital display. 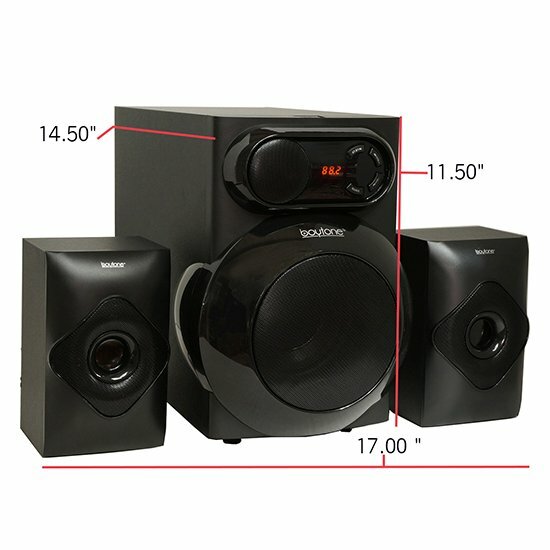 Listen to your music LOUD and CLEAR. 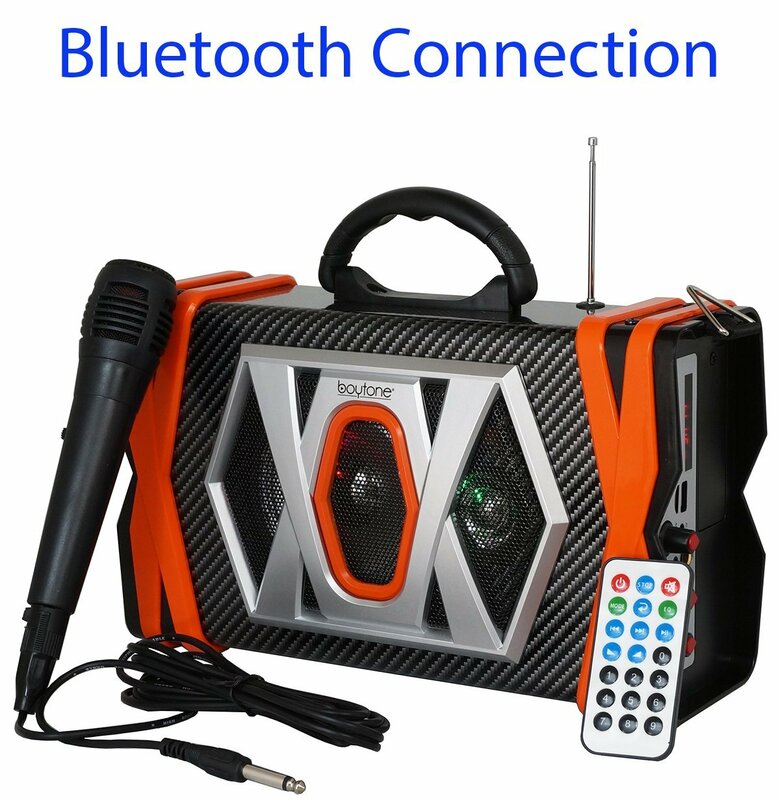 Build in MP 3 player included, it could automatically play the music with a standalone Micro SD card. 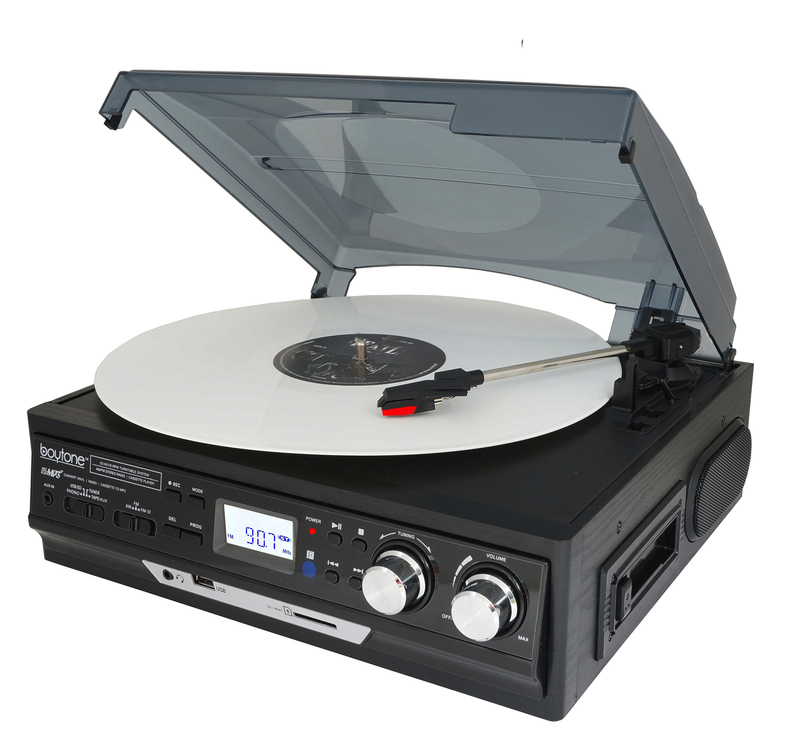 Custom Designed and Engineered by Boytone- An industry trusted brand for over 33 years. 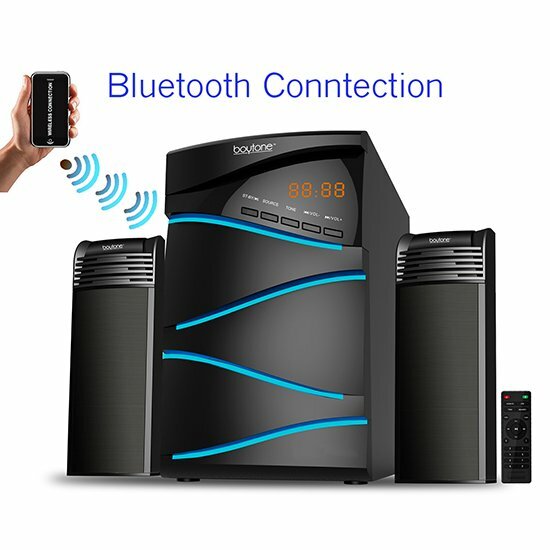 Part number: BT-220F. 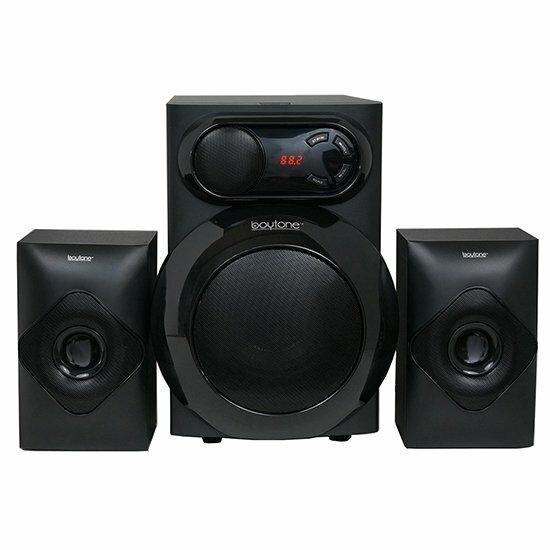 1 year warranty provided by Boytone, Dimensions: 17'' (W) x 14.50'' (D) x 11.50'' (H). 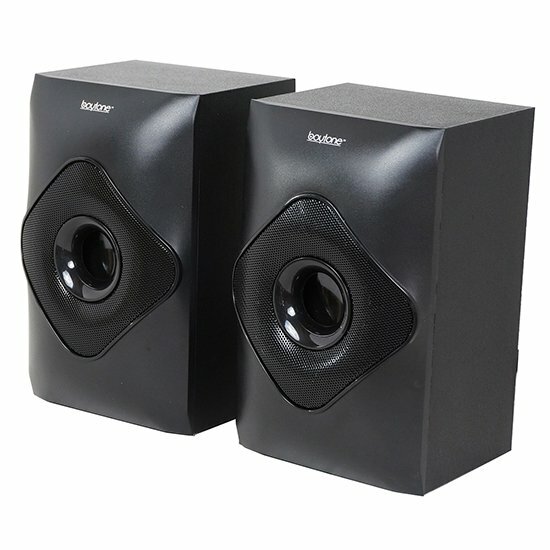 Black color finish. 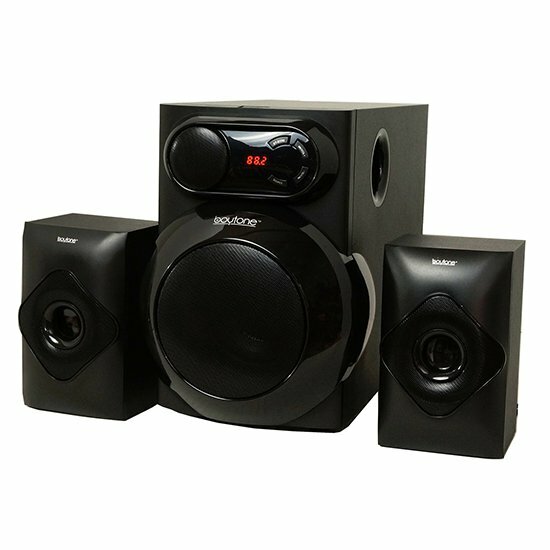 Powerful sound, produces a wide audio spectrum with Full Range Magnetically, Bass Control, and Treble Control. 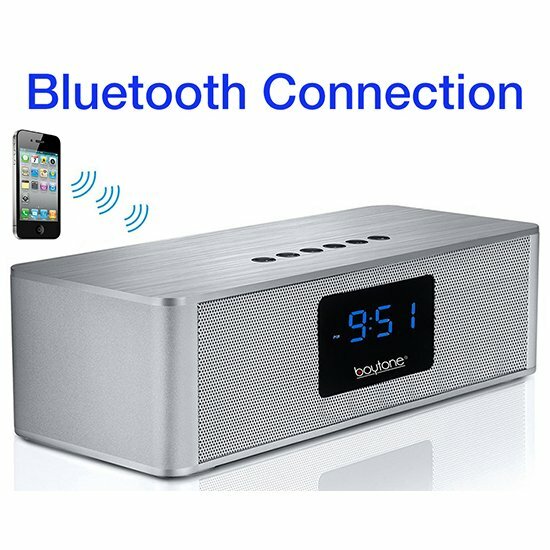 Volume Control, (20+6x2) total watt 32 USB/AUX Support.